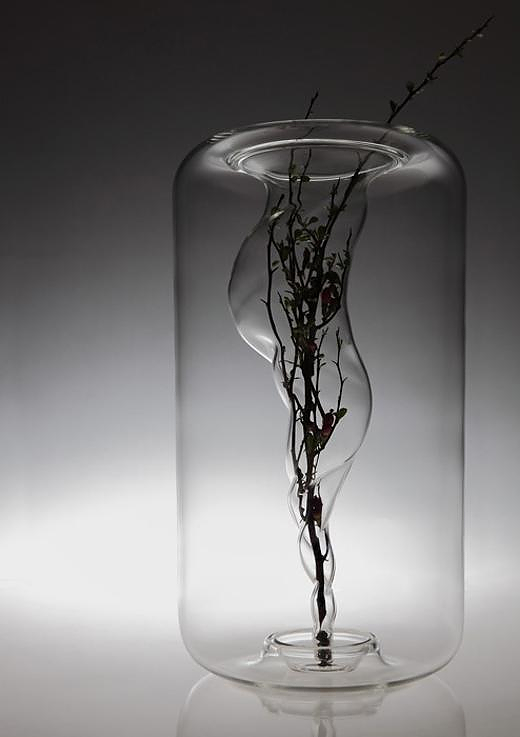 HomeBlogHome DecorTourbillon Vase by A+A Cooren. 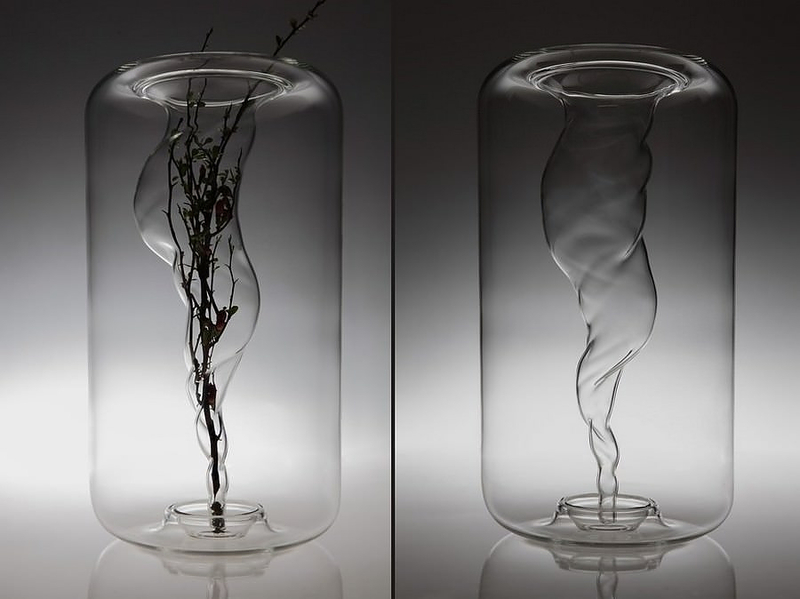 The impressive Tourbillon vase, which reminds me of a small contained whirlwind, was designed by A+A Cooren, the French-Japanese design couple Aki and Arnaud Cooren based in Paris. Tourbillon is inspired by a vortex and it is composed of two parts, one part is the vessel that contains the water, and the second part is the main the vortex-shaped tube, which supports the flowers. 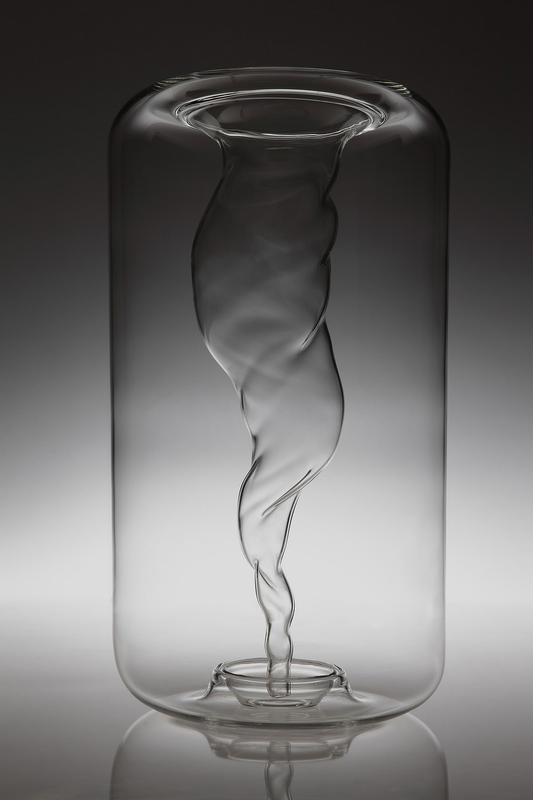 Both parts are made from hand-blown borosilicate glass. 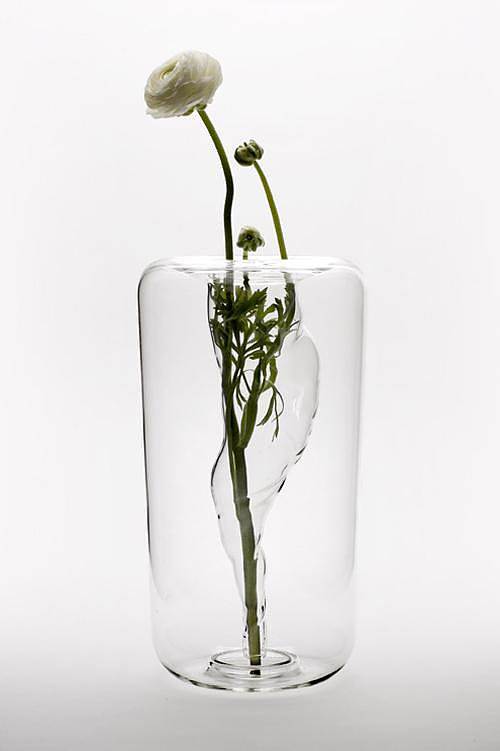 I suppose the already stunning visual effect is enhanced when the vase is filled with water. 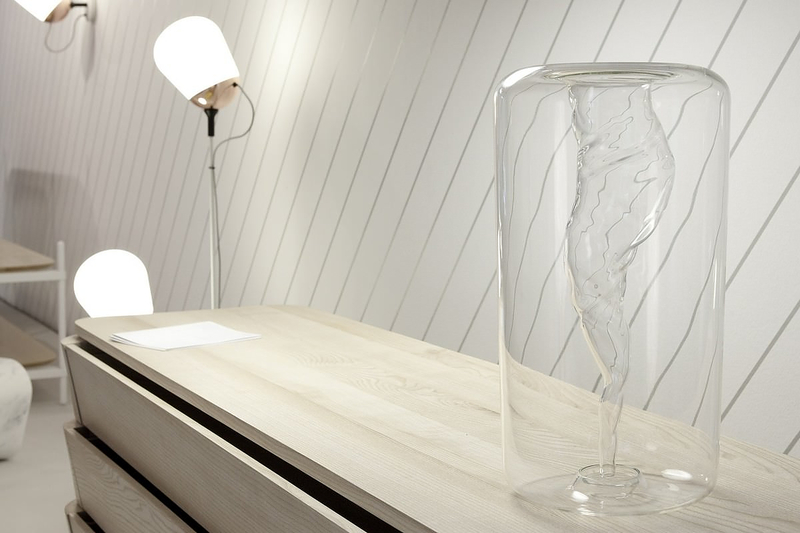 This impressive vase is a product of collaboration between top quality glass-making and digital technology, as it was created first as a three-dimensional model and then hand-blown by master glass craftsman Wilfried Allyn. The Tourbillon Vase was produced in a limited edition of 21 pieces, available in 3 different sizes, available at Gallery S. Bensimon in Paris.